A little bit of Belgium came to the 5th TMG Horizon Road Race yesterday on the Cublington Circuit near Aylesbury in Buckinghamshire. Local riders put up a great fight but Robert Smail of Belgium - based Tomacc CC showed his superiority with a surge of power on the last lap. 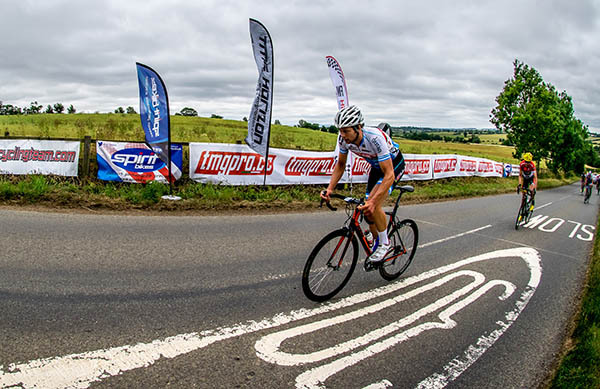 Stephen Orbie of VI Technics was straight into the action, making an early move with Mike Wragg of Arbis Colbert in the opening kilometres and as they crossed the line, a gap of 22 seconds looked to be growing. The front of the bunch was also splintering though, and by the Unicorn Prime on the 2nd lap, Wragg had been substituted by his team mate, Richard Wood with Peter Hitt of VC Meudon joining in to make a gap of 54 seconds. The third time through Whitchurch and five more riders had joined the move but the gap was shrinking to 29 seconds and by the time they crossed the finish line with 5 to go it was only 22. After a particularly hard phase of racing, there remained only 15 seconds when the race had to briefly neutralised. With everything back together, hostilities resumed as Will Scott of Bonito Bikes went straight on the offensive on the 5th lap and pulled away to a gap of 40 seconds. 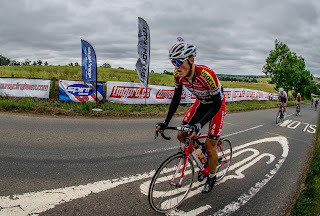 It didn't take long for Stephen Orbie to wake up again though and with 2 laps to go, he took the Grand Tour Cookbook Prime leading a powerful looking group up the hill which had absorbed Scott and included two Corley Drops riders. The gap to the bunch of 1 minute 35 seconds looked solid and held relatively steady on the 7th lap, falling only slightly to 1'20" at the bell. The pressure was on though now and on the last time up the headwind drag to Whitchurch, the break was shedding passengers as the bunch smelt blood and accelerated. With 5km to go, Robert Smail of Tomacc CC attacked the remainder of the break. With most of the remainder being downhill this seemed a touch foolish but he built a gap of 30 seconds very quickly as the bunch went through Whitchurch, defying the logic that a group will descend faster then a loner. His high pace continued whilst the remains of the break imploded leaving everyone to fend for themselves. By the finish, Smail had carved out a gap of over a minute to take the win in style. "He made it look easy,"observed one of the spectators. Local pride was intact as Roy Chamberlain of Corley Drops RT proved the best of the rest, surviving the high paced break and managing a small gap before the bunch came in and the Spirit Bikes Team from only 5 miles away managed 2 riders in the Top Ten. Winner, Robert Smail reflected "It was great to get the win today against some quality opposition. I really enjoyed the race; it was hard, fast and safe." 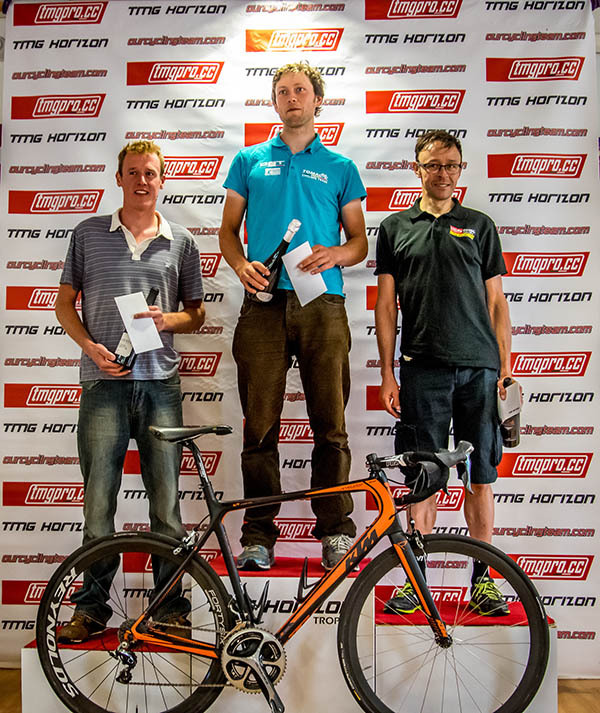 Neil Wass, organiser said "It was a pleasure to put this race on - the riders put on a fantastic show. We know that guys like Robert go to Belgium to get hard races and maximise their opportunities. We started this race because we hope one day they won't need to!"